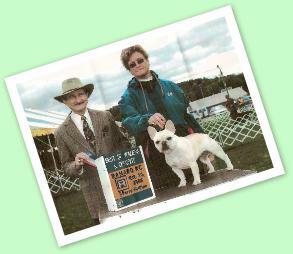 I am an AKC Breeder of Merit. 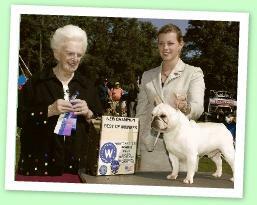 I began my 40+ years of AKC Show/Breeding Program with English Bulldogs. I was honored to have many of my dogs are featured in The Book of the Bulldog by Joan Brearley. For years I owner handler my dogs to their championship in the conformation ring. I also exhibited pugs for several years. The young lady with the pied (and the ribbons) is our artist friend, Carrie Stump. Her smile is what it is all about! 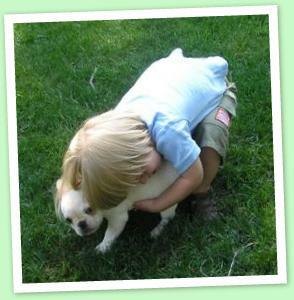 In 2003 I had Open Heart surgery to repair a Mitral Valve and found that I could no longer handler the larger dogs. 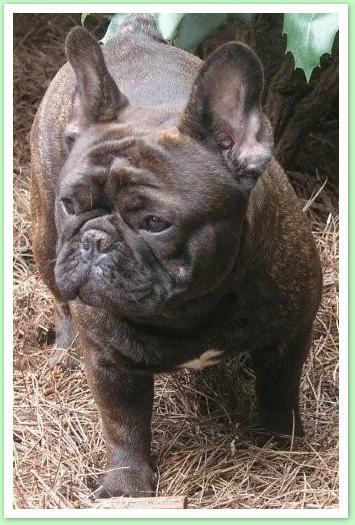 I wanted to continue my career in the ring, but with an easier Bullish breed, so the French Bulldog was perfectly suited for me! 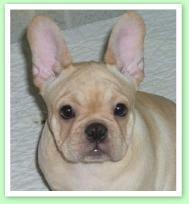 Their size, companionship, and overall personality is just perfect for me. I currently have several AKC champions, an Agility champion, Two AKC CGC champions, and an International Certified Therapy champion. This is quite a versatile breed. With the expertise of my photographer/friend Dwight Dyke, our dogs have been featured in many national and international magazines, calendars, and other forms of advertising. 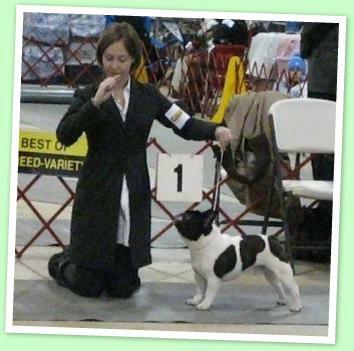 I am an active member of The Virginia Kennel Club, The Virginia Federation of Pure Bred Dog Breeders, The Bulldog Club of America, The Pug Dog Club of America, and The French Bulldog Club of America. Sandyhook, my kennel name, is derived from the Norris’s Family home-place, dating to Colonial times in Virginia. Built about 1830, it is located on the Rappahannock River in Middlesex, County Virginia. The property in the original court records describes the land as a sandy-hook in the road situated in a forest of trees surrounded by small Indian reservations. Times have changed! Yes, I absolutely love 18th Century Antiques and run a small antique business. My home is also decorated with a large collection of dog collectibles. Click here to read about a delightful treasure I found. Our family was in the decorating business for years and I had an active part in the business. I also have three grown sons and two grandsons.